These are around or just over 10cm last weekend. A few thoughts on each one. The one on the left has the better looking pattern right now, but how will these two stack up against each other when they're 25 - 30cm? 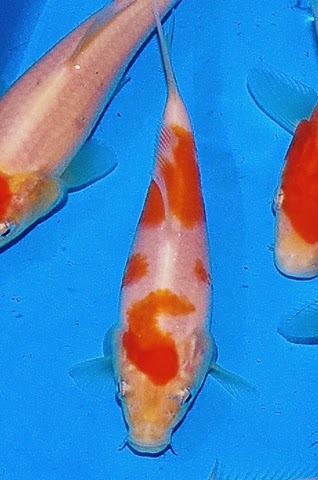 Will the breaks in the pattern on the right hand koi open up and make this one stand out? 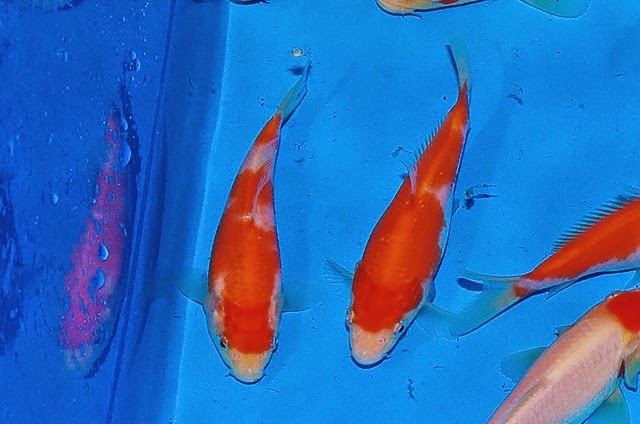 One of those koi where the pattern takes me, but the big question on my mind is whether the proportion of red and the pattern holds up as the fish grows.